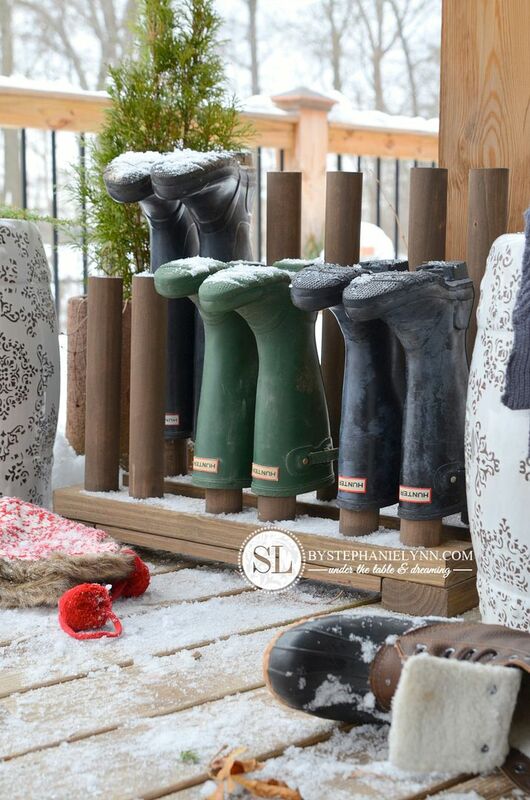 Wooden Boot Rack – plans to make a boot organizer | While there are still four more days left until the official beginning of winter – we have already had a significant taste of cold, snowy, wet weather. mucky mess of slush and mud. A mess to leave right at the front door. 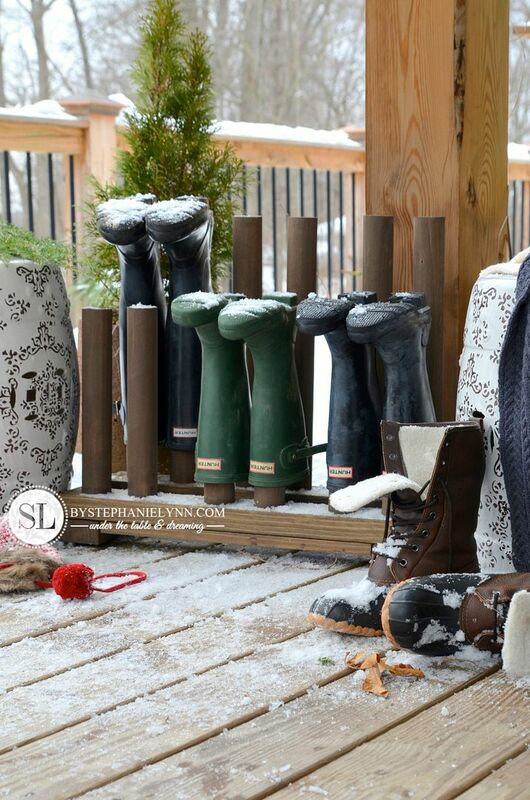 A wooden boot rack has been on our to-do list for quite some time now – so I was pretty excited to add it to our True Value list of projects we committed to complete this year. 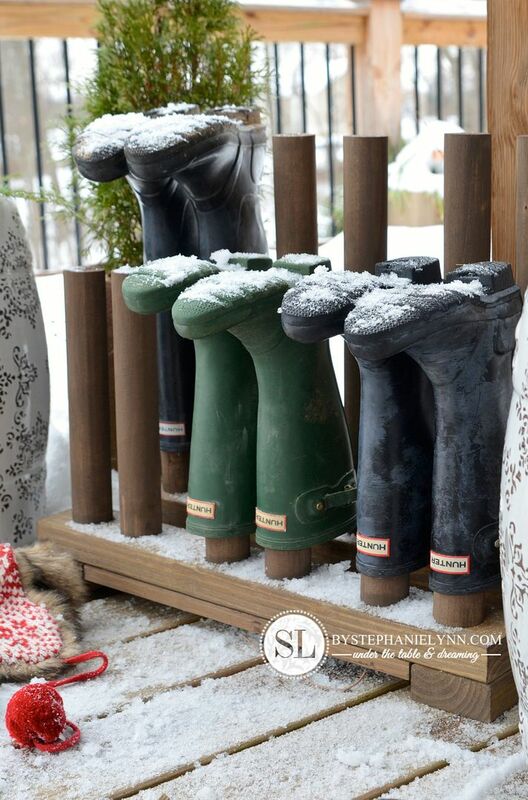 Now that it’s said and done – and the snow has already began to fall – I have no idea why it took us so long to put together this fairly simple, and totally useful project. 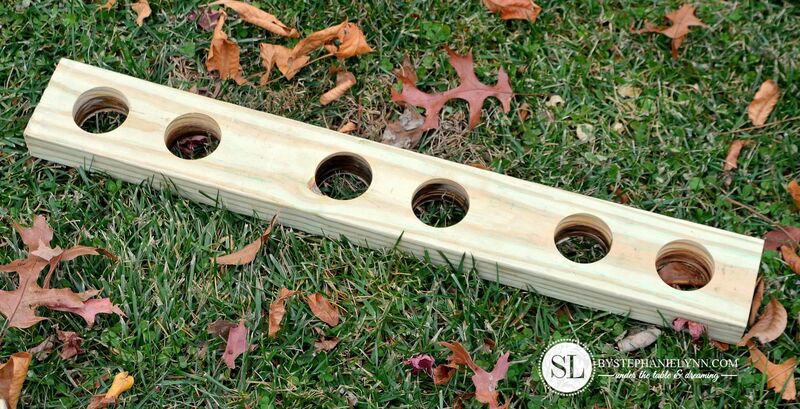 Step One: Make the Dowel Rails. 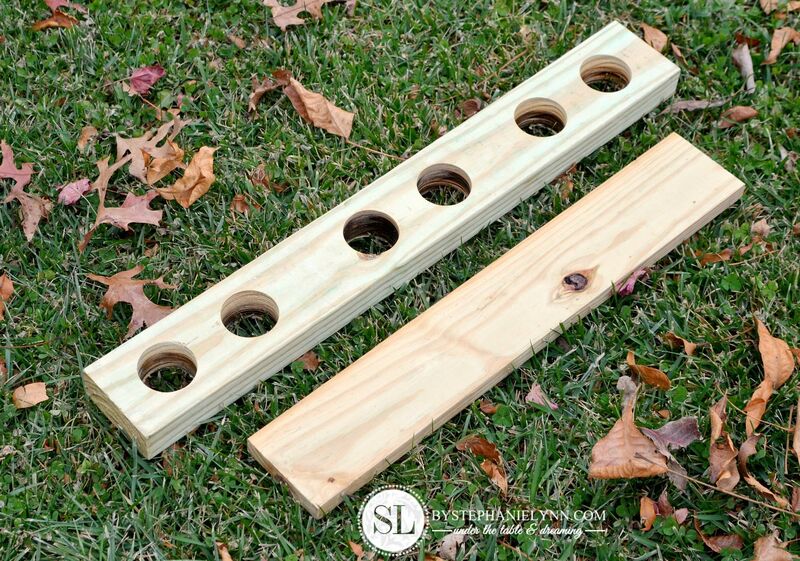 The dowel rails are made from two 2 X 4’s cut 26 inches long. 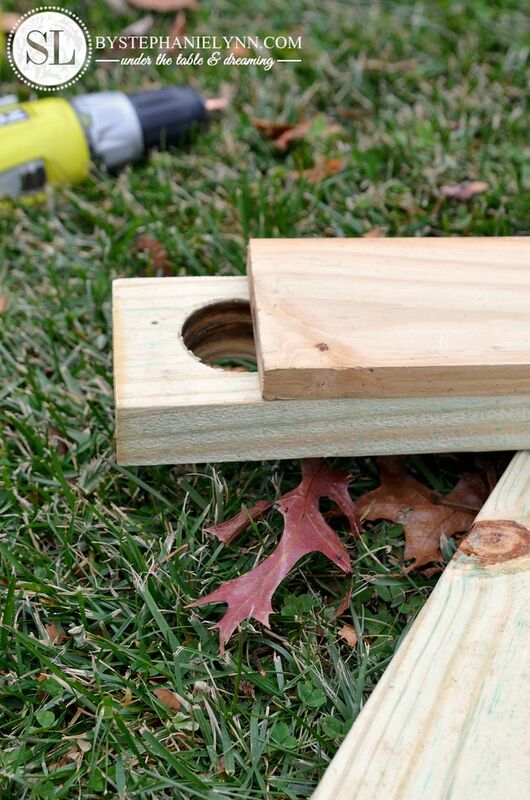 A 2 inch hole saw is used to cut the holes for the dowels. 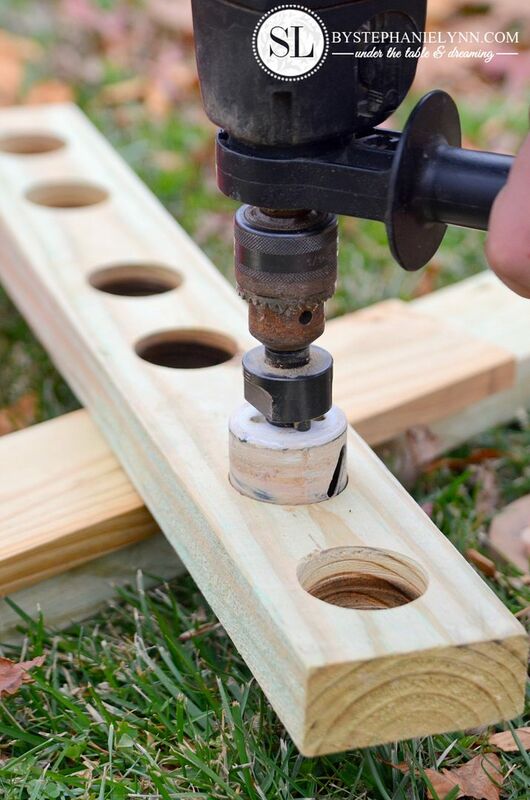 Hole saws are basically cylinder bits that attach to a hand drill or drill press and cut clean, smooth, perfectly round holes. 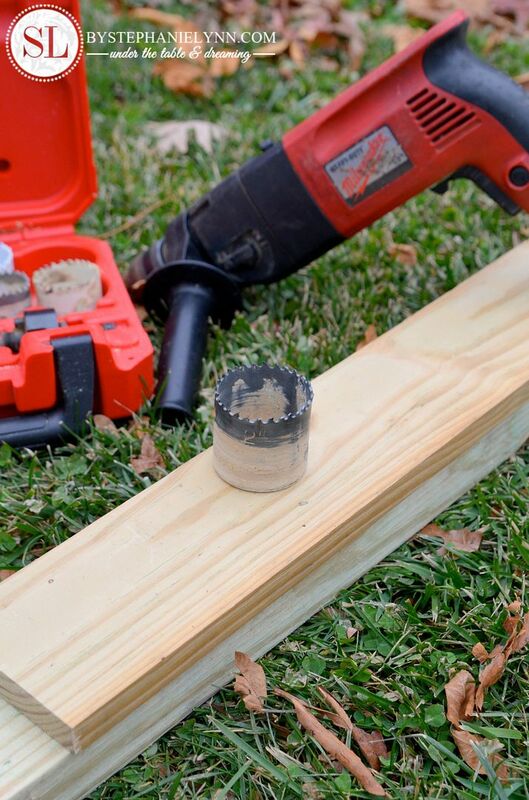 To cut through the 2 x 4, a heavy duty drill hand drill was used. Step Two: Cut and attach the base boards. The base boards are made from two 1 x 4’s cut 19 inches long. 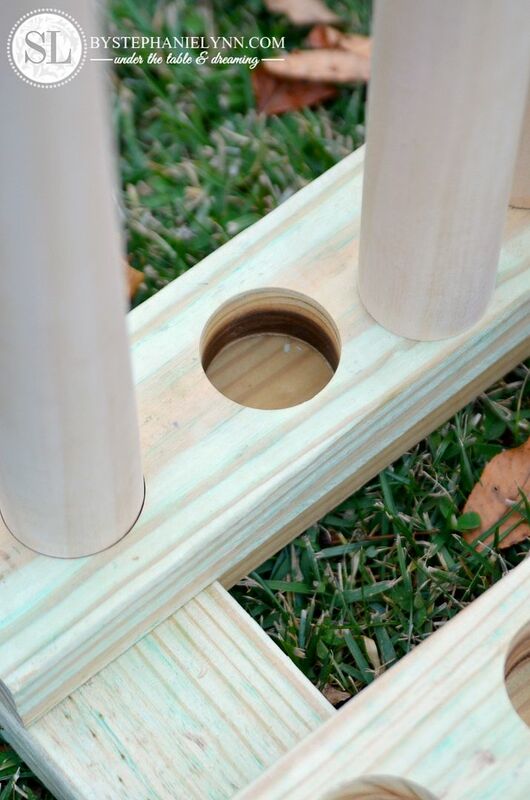 The base boards are attached to the bottom of the dowel rails and create a base for the dowels to sit upon. Step Three: Attach the foot boards. 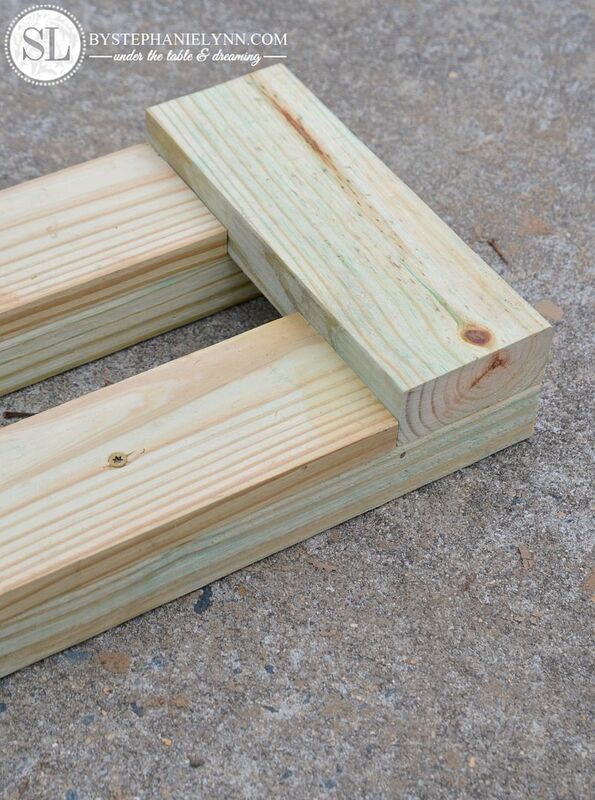 The foot boards are made from two 2 x 4’s cut 10 inches long. 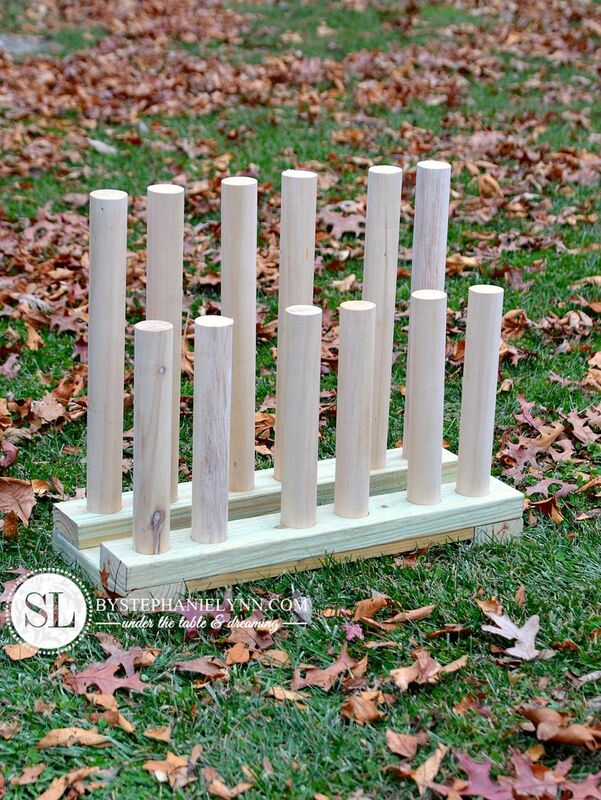 They attach to the bottom of the dowel rails, at each end, as shown above. Step Four: Cut the dowels. 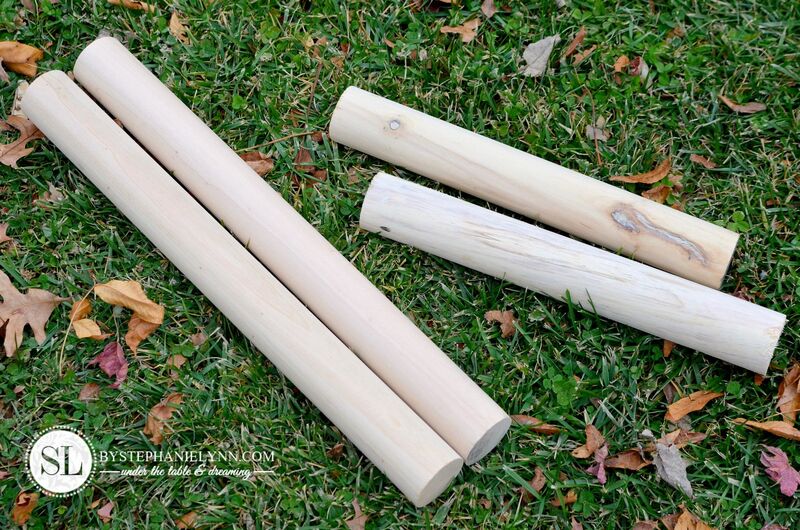 A 2 inch dowel is used for the boot holders – six pieces cut 14 inches long and six pieces cut 20 inches long. 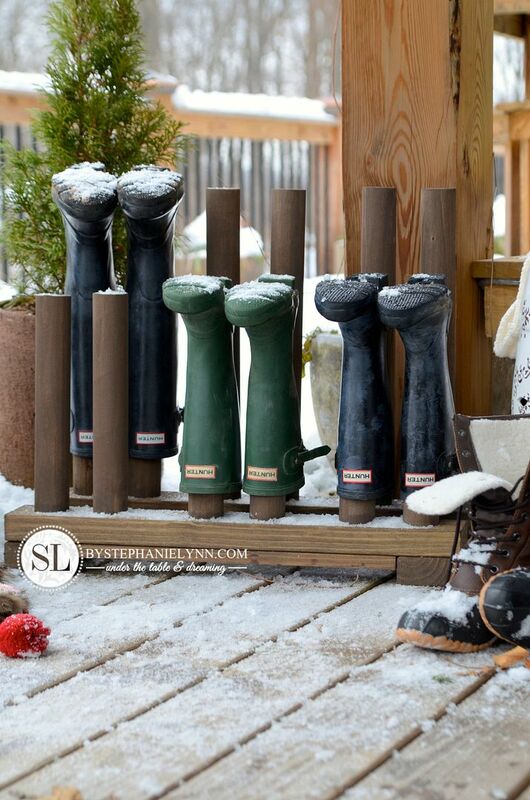 The larger dowels are sized for adult boots and the smaller to hold child-size boots. 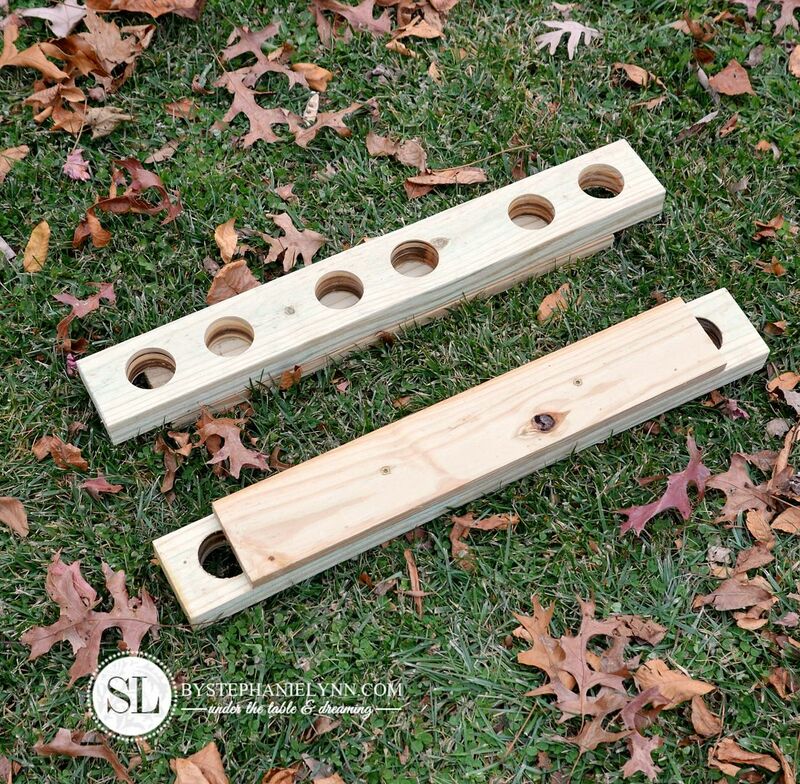 The dowels fit snug into the dowel rails and can be secured with wood glue, though it is not necessary. We did not secure them into place as we like having the option to take them out to store the rack when not in use. Once the boot rack is complete, sand and prep for paint or stain. Step Five: Finish the boot rack. We used ZAR stain we had left over from finishing our adirondack chairs, since we will be using our boot rack both indoors and outdoors, under a covered surface. 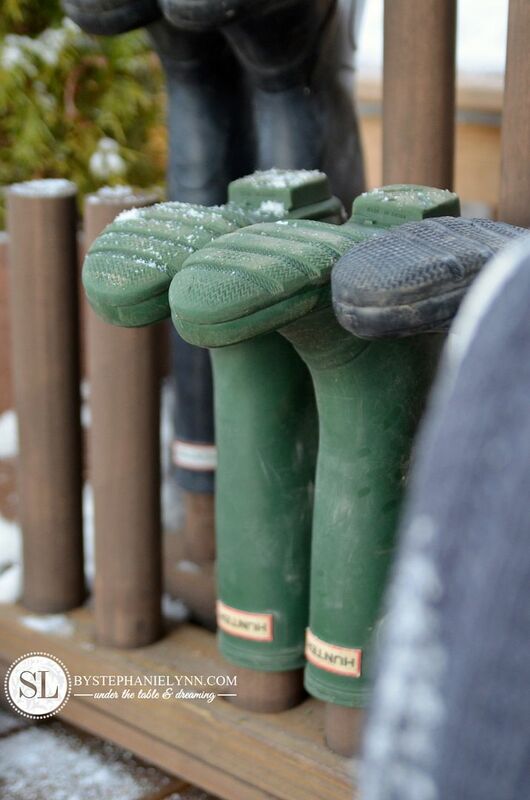 The simple design allows the wet boots to be suspended so they drain and dry much quicker – which is perfect for our snow loving little guy. 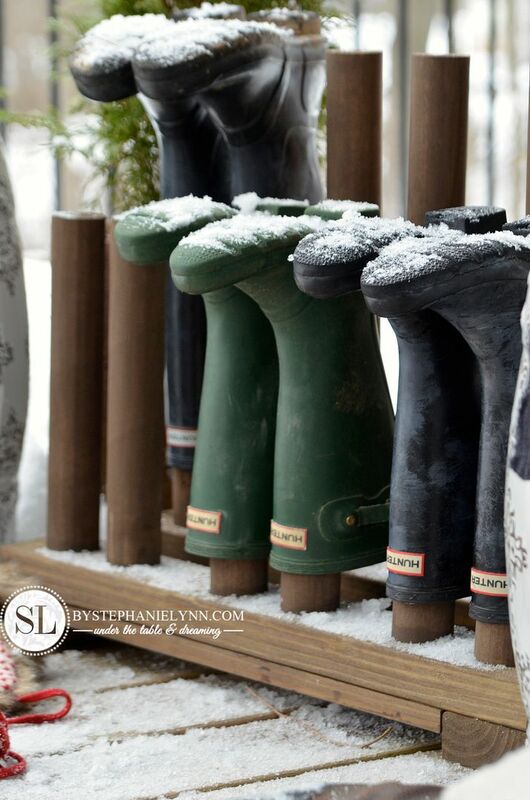 The dowels in the back are made to hold taller boots – while the shorter dowels in the front perfectly hold our little guys wellies. 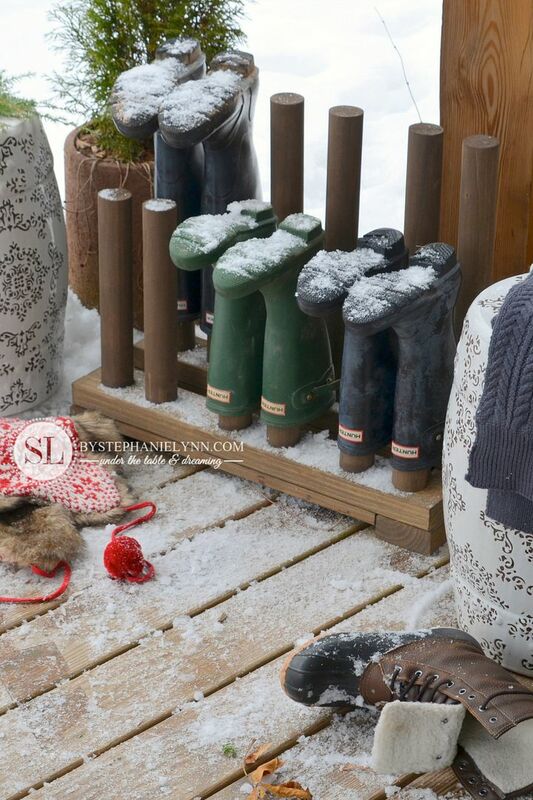 The wooden boot rack is not only for winter – as I see us putting it to good use year round. 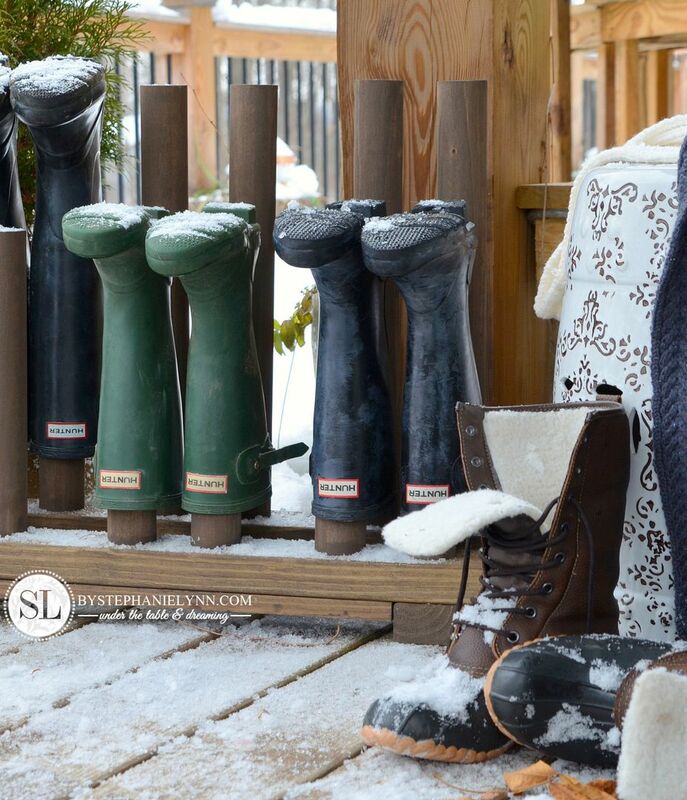 this simple wooden boot rack just may be one of our best (most useful) projects yet. Oh, what a great idea Stephanie! Now that we live in the midwest I have been looking for something like this & BAM! here you are with the perfect solution + it’s very DIY’able. Thanks so much! Merry Christmas! 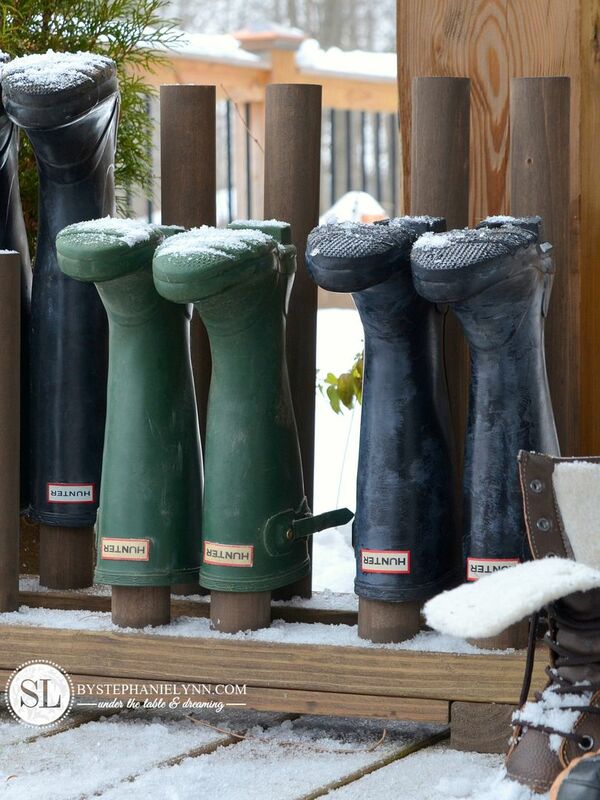 I’m looking for a good idea to store my wife’s boots and this could be it. My goal is to mount something like this on the inside of our walk in closet above the door (basically a wasted space of 15″ to the ceiling). I may make a few changes, like adding another set of 2 so that it is 4 pairs long.Thanks for the idea. One of my friends asked me to make this project for her, and I really appreciated this design! I used smaller wooden dowels because the 2″ ones were pretty expensive. Thanks for the post!